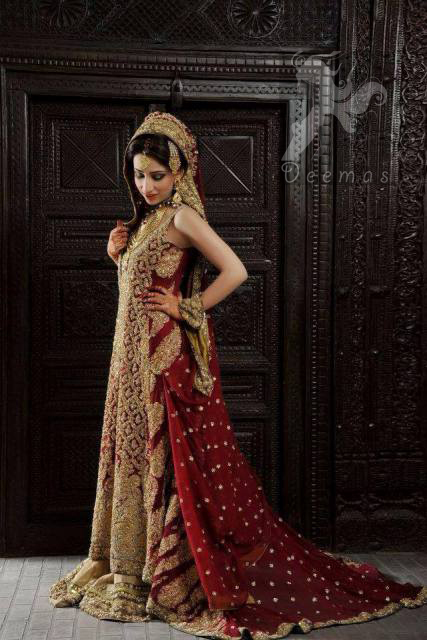 Tags: Back Trail, Bridal, Deep Red, Heavy Center Panel, Lehenga, Reception & First Day. 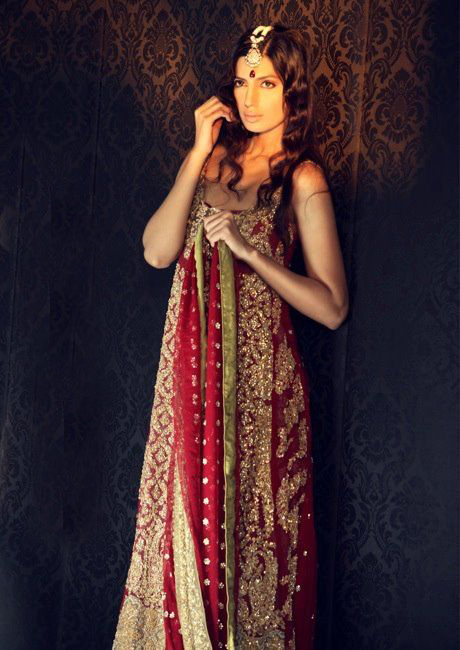 Deep red back trail frock and golden bridal lehenga for Baarat Function. Deep red pur chiffon frock with drop ends and back trail. Frock features stunning embellishment on Central panel, sides panel and border of front and back hemline.Golden banarsi chiffon lehenga with embellished border all around the bottom. 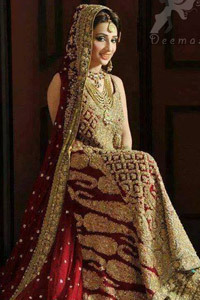 Dupatta contains large border on front side edge and comparatively lighter work border on rest of the three edges. Crystal stones motif crafted all-over the dupatta.